I'm not sure who coined the phrase referring to a collection of handsaws as a, "a Nest of Saws," but the turn of phrase makes me smile when I hear it. It's like saying a Murder of Crows, or a Quiver of Cobras. Whimsical and descriptive. I also like to use the phrase, "There's no point in making a meal out of a snack." ask my children, they hear this one all the time. In my shop, there is some correlation between these two phrases. In my mind a "Nest" is made up of many, many pieces, and for some woodworker's they like having a fully plumed nest, full of specific saws tuned for specific purposes. I totally understand this position at at one point in my journey I was on board with this concept. I built myself a full sized saw till for my shop with the whole Nest plan in mind. Then I read "The Anarchist Tool Chest" and the book found me with the right message at the right point in my life. Like finding a song or album that really speaks to you at a specific age and time. I started to reassess my take on my shop in general. "What would help me more?" I asked, "A selection from a dozen saws that is tuned specifically to rip pine, or simply a sharp rip saw?" And as a follow up. . .
"Am I more likely to have a sharp rip saw if I have just a few to maintain, or if I have a dozen, will I be more likely to abandon one saw for another in the moment if it starts to dull, and then, move on with the project at hand and never get around to sharpening that saw." Then there would be keeping track of the notes I'd made on the sharpening specifics for each of a dozen saws. What do I want to do more. Use my tools, or maintain my tools. Understanding that more tools equals more maintinence. For me, once I thought about it the answer was fairly clear. A sharp saw tuned to general purpose beats out a specific situation tuned saw that is less than sharp. For me the debate was simple and short. Today my saw till is full of saws I will probably never use, (some are inherited heirlooms I cannot part with, some are trash I don't know what to do with). I keep the saws I use inside my tool chest. A little bit ago I had an email exchange with Mark Harrell from Bad Axe Tool Works. He was asking some bloggers and friends specifics about our decision process with saw choices. I surprised myself a bit when I realized how little I thought about my saws in specific. I know what I have in the tool chest. I know which of the saws I want to use when. But honestly past that I can't cite specs like Points Per Inch (PPI) or degrees of Rake and Fleam. What I have and use works for me, and because it works, I don't have to think about it much. Because it works for me, and because when Mark asked, it made me start to think about my saw choices like I haven't in a long time. 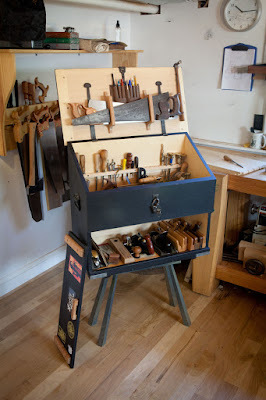 I thought I'd put up a list of the saws I use everyday in my shop, my mini-nest if you will. But instead of making one super long post I've decided to break it up into four. This introduction, one for hand saws, one for back saws, and one for specialty saws. So look for them in the next coming days. P.S. If it's a "Nest of Saws" then is it also a "Parade of Planes?" Or a "Splurge of Spokeshaves?" 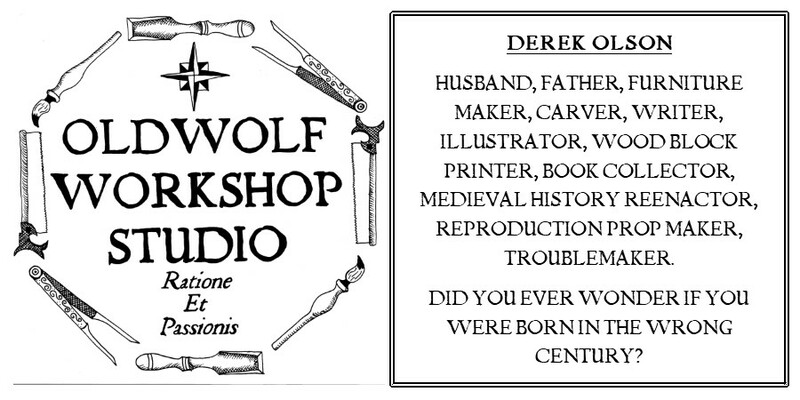 Or a "Cacophony of Carving Tools?" A "Church of Chisels?" I happen to really like alliteration. . . .